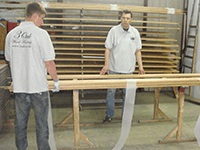 Call or email us and we will be happy to send one of our specialists for a free estimation. Or send us your floor plan and we will give you an estimate within 48 hours. Visit our showroom in Ealing, west London, where we can assist you further. We have more than 60 styles, finishes and exclusive hardwood floors. To help you choose the right one, we are happy to provide samples in the post. Alternatively, you can collect them from our showroom. If you have any questions you can call, email or visit our showroom. 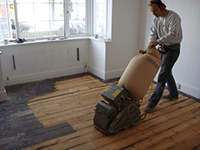 There are many reasons why you might decided to restore your wooden floors, but perhaps the main reason is that it can completely revive the original character of a floor and a room. 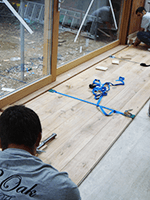 We have vast experience in oak floor sanding, flooring renovation and restoration, our craftsmen will be able to restore you wooden floor to its original glory and insure that you will be left satisfied and smiling. If you’re struggling to find your perfect floor you have come to the right place. Choose from our range of wood structures and huge selection of finishes. Our experienced team of salesmen and craftsmen will advise you and let you choose your own custom finish, tailored to your specific requirements. We can also colour-match other floors and surfaces – for example, kitchen cabinets and furniture. We supply large volumes of raw or furnished oak wood flooring - the best quality for highly-competitive prices. We control every aspect of the floor’s production, and guarantee the floor will be delivered to your shop or warehouse at a time and date convenient for you. 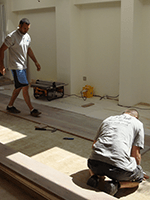 We love what we do – that’s why we use Europe’s finest flooring, fitted to the highest standard. 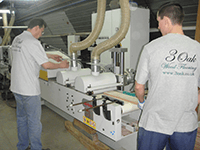 All our high-skilled professionals are the best in their field. Choose 3 Oak and you will be delighted with the quality of the craftsmanship, and your final product. 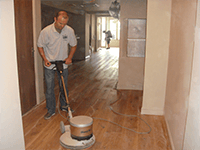 Choose 3 Oak Wood Flooring Services and you won't regret it!